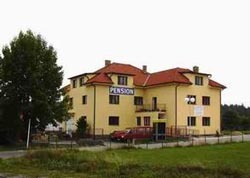 Hotel , Pension - "HOLIDAY HOME - Hotel, Pension"
Historic building of our property was recently renovated, it has modern elevator (in midfloor only), several guests rooms only & small apartments for long term rent. Rooms are single, double or twin and 3-4 beds and all of them have windows to back yard garden. The rooms and bathrooms were recently renovated. They are simply furnished - wall to wall carpeting, beds, table with chairs, wardrobe case, armchair, table lamps & wall decorations. 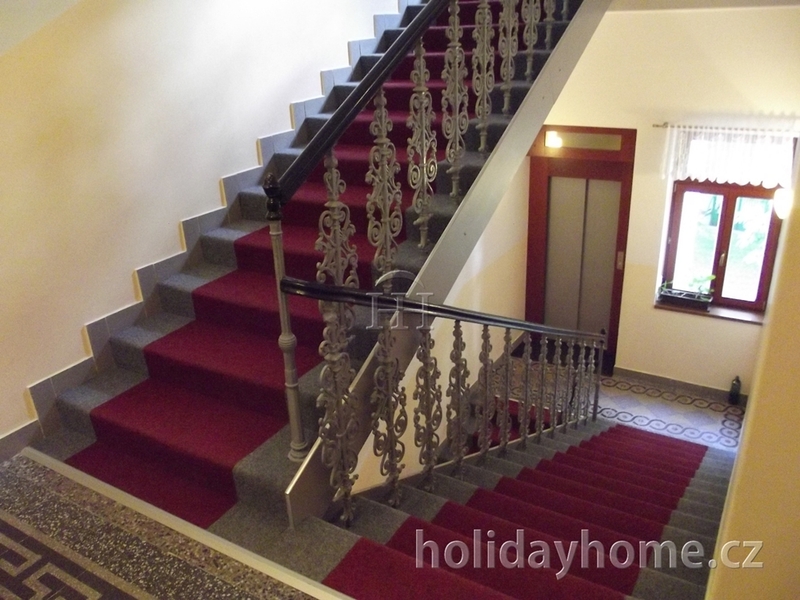 Each room has private ("en suit") bathroom with shower, sink, WC, hairdryer etc. There is phone, sat. TV outlet, electronic safe-box & free WiFi. Bedding (blankets, pillows, sheets), towels, soap & regular cleaning are provided - included in room price. No breakfast is served on site, but there are many alternative options nearby. 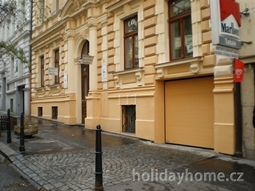 We provide list and map of such options nearby. Clients can have own simple breakfast here, as el. kettle, fridge and simple dishes (cups, plates, spoons & knifes) are available either directly in room or in shared tea/coffee kitchenette next to the room. The tea/coffee kitchenette is not equipped for real cooking. Non-Smoking policy. All the house is strictly non-smoking. Smoking is possible outside of building only. We apologize to all those, who would be interested, but "No Pets" are accepted in the hotel. a) "Self Check in" (using 4 digit access code) is default option. Usually requested - guaranteed or pre-paid booking + online registration! More info at "Terms & Conditions"
b) "Personalized Check in" can be pre-arranged with owners, within operational possibilities only. 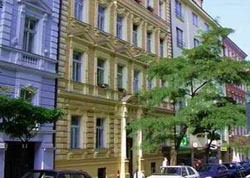 Although there is no reception office, owners live in the building. Guests carry own keys during all stay. They are fully independent, but they can contact us, if necessary. At departure -standard Check out: 10 am. Eventual later check out needs to be to pre-arranged with owners. 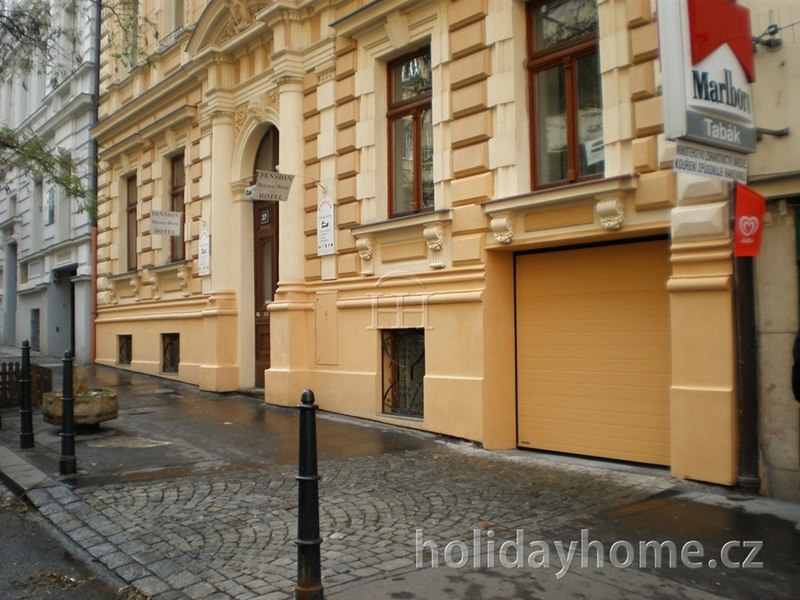 - luggage storage at arrival or departure day or during trip out of Prague.